The example takes a predefined colormap and modifies it. 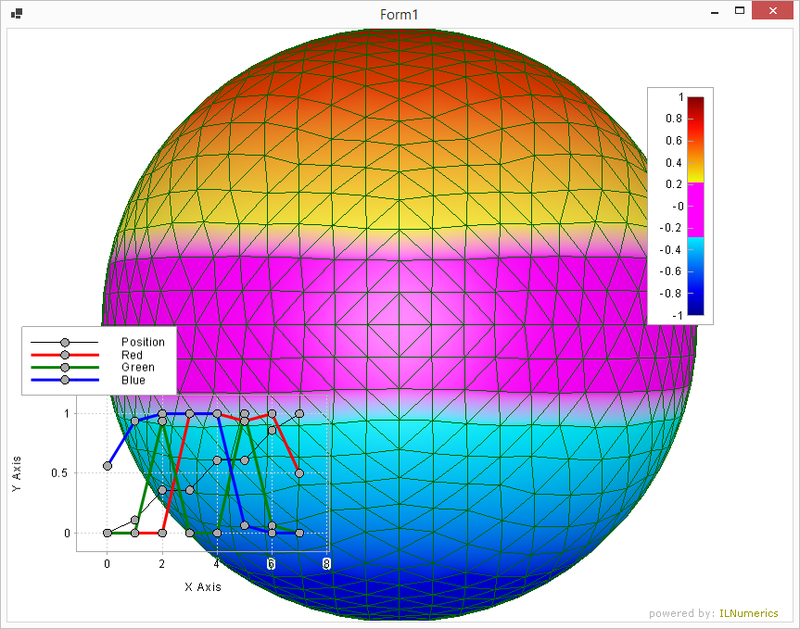 The altered colormap is than used to color a sphere and displayed in a colorbar nect to the sphere. A second camera (plotcube, which derives from camera) is used to create a line plot overlay and shows the use of multiple, individually seperated areas within a single scene.